When expecting a new baby, there’s a mixture of joy and stress. There’s the elation of a new son or daughter coming into the family, but like many new things, a new baby can bring stressful changes into the household. These changes can not only affect the parents, but also the family dog! Dogs are great companion animals and can be wonderful when it comes to babies and children. But you will hear about a dog that is not fond of kids, and might even be anxious or aggressive toward them! Now when it comes to YOUR dog, there might not be any existing problems with children. But when a new baby shakes up the daily routines and schedule for you and your dog, how will your dog react to these changes? Will they become nervous and anxious? Will they become jealous over the attention your baby is receiving, or will they even become possessive over the baby? The adaption could be smooth, but we won’t know until it happens…and many parents (rightfully so!) don’t want to take any chances with their newborn. Here in Buffalo, Colonial Dog Training is offering the Cribs and Canines training program. This training regimen is for expecting parents who want to make sure that their new baby and their dog have a good introduction. Parents that worry that their dog might not take too kindly to the idea of a new family member, then Cribs and Canines is for you! If you worry that your dog will not respect you and your new baby’s boundaries, then we can help you through the Cribs and Canines training program! With Cribs and Canines, your dog will learn the basic and advanced components of obedience, focus, and recall. Your dog will be able to demonstrate calm behavior that does not include bad habits, such as jumping, nipping, not listening to commands, any form of aggression (territorial, food, fear, over/toward the baby, etc). Along with this, your dog will also have a chance to experience the idea of living with a baby, before your baby actually arrives! 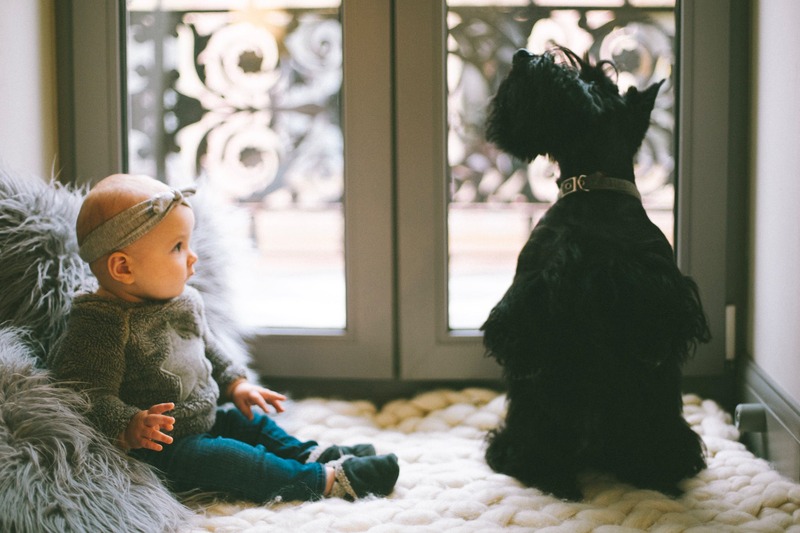 We will set up real-life situations that will prepare the dog for your infant son/daughter, such as walking well next to a stroller or exhibiting self-control when the owner’s attention is focused on the baby. You as the owner will be given the proper tools to recreate a consistent, success-driven environment for your dog, and then be able to carry it on once the baby comes and gets settled in! If you are an expecting parent that is experiencing troubling concerns over the relationship between your dog and your baby, then call us to sign up for Cribs and Canines! For those current parents that are struggling with their dog’s behavior over their babies and toddlers, we can help you too! Let Colonial Dog Training help your dog get ready for a happy life with your baby! Our offices can be reached at 716.217.2817, or write us using our contact form.